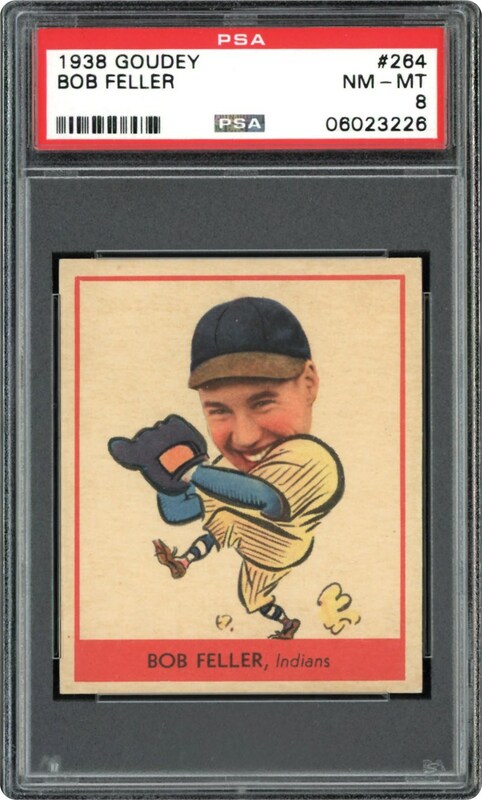 Arguably, the second most desirable subject in the 1938 Goudey Set (behind "Joltin" Joe DiMaggio) is Hall of Fame fireballer Bob Feller, with this issue representing his hallowed Goudey rookie card. 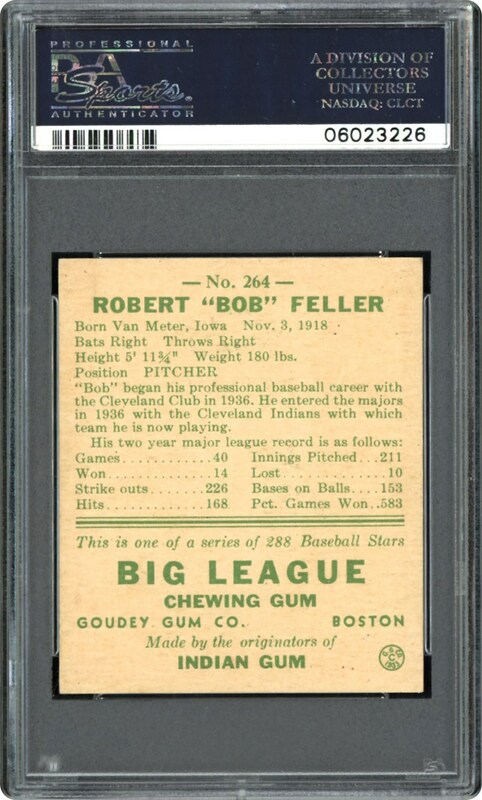 With that in mind, presented here is "Rapid" Bob Feller's 1938 Goudey in a spectacular PSA 8 holder. PSA has currently encapsulated over 160 examples with this offering one of six at this hallowed tier with not a single copy graded higher. Extremely well centered, both surfaces are ultra-clean, and the razor-sharp perimeter includes four pinpoint corner tips. Considering that the spine tingling aesthetics seem to merit an even higher technical assessment, you would be wise not to impersonate a Feller fastball and let this "best of the best" offering whiz right past you!